But with this extraordinary beauty comes influence and power. People who are susceptible to her appeal will do anything for her attention and for her affection. They will turn away from their families, their work and their duties for her. They will forget their responsibilities to please her...and worse, crush nations, neglect kingdoms and abuse their power. 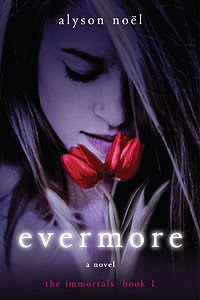 After reading and really enjoying Graceling earlier this year, I was eager to check out Kristin Cashore's next book. This is actually a prequel/companion book that takes place about 30 years before the events of Graceling and is set in a distant land, away from the seven kingdoms. Fire is the last of the human-monsters in the land of Dells. She's beautiful, alluring and has the ability to read, touch, and control other people's minds. For that reason, she's both feared and loved. She can overwhelm a man with her beauty, and attract the attention of the many different monsters with her stunning red hair. This story is filled with political strategy in a war-torn land where Fire is wanted by many. The worldbuilding was outstanding, the plot intense, and the romance almost heart-breaking in its tender development. Kristin's writing was once again engaging, the twists and turns kept me reading, and the secrets revealed at every turn made all the events that led to the current political condition make sense. I also enjoyed reading about the strange and complicated relationship Fire had with her monster father. Not to mention that a certain horrible character from Graceling makes an appearance, and although he's just a child in this book, he's just as horrible. The man able to convince and keep others under his control via his speech meets his match when he tries to outsmart Fire. He meets his match in her, but still manages to devastate her. 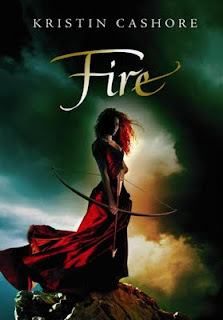 Fire, like Graceling, was an intriguing story that gives the first book a new depth as we meet a new cast of characters that'll keep you interested from start to finish. Looking forward to the next installment, that's for sure. Frey is the captain of the Ketty Jay, leader of a small and highly dysfunctional band of layabouts. An inveterate womaniser and rogue, he and his gang make a living on the wrong side of the law, avoiding the heavily armed flying frigates of the Coalition Navy. With their trio of ragged fighter craft, they run contraband, rob airships and generally make a nuisance of themselves. So a hot tip on a cargo freighter loaded with valuables seems like a great prospect for an easy heist and a fast buck. Until the heist goes wrong, and the freighter explodes. Suddenly Frey isn't just a nuisance anymore - he's public enemy number one, with the Coalition Navy on his tail and contractors hired to take him down. But Frey knows something they don't. That freighter was rigged to blow, and Frey has been framed to take the fall. If he wants to prove it, he's going to have to catch the real culprit. He must face liars and lovers, dogfights and gunfights, Dukes and daemons. Darian Frey is the captain of the Ketty Jay and although he leads a small crew, the ship means more to him than any of them. When a wealthy man hires him to steal valuables from a freighter called, Ace of Skulls, he thinks his luck is about to change. However, when the freighter explodes and it becomes apparent the freighter wasn't carrying cargo, Frey and his crew become the targets of the Coalition Navy and bounty hunters. Trying to run for their lives and stay a step ahead to stay alive, they eventually begin to unravel the mystery of why Frey and his crew were framed. As well as uncover several hidden secrets, plots, adventure, and a good dose of danger while they're at it. 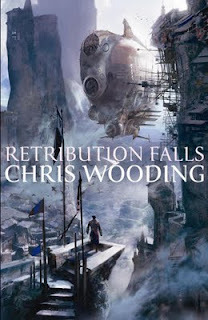 Retribution Falls is an interesting and different take on Sci-Fi that introduces the reader to a world of pirates and smugglers. It's fun, well-written, and each character has a past secret that they're running from. Although I enjoyed this book because I liked the plot and pace in which the story unfolded, there was something that kept me from loving it. I'm not sure what it was, but I just didn't connect with it as much as I'd hoped. Still, it was an enjoyable read and the cover's beautiful! Anyway, we were checking out laptops, too. I think that mine's slowly dying on me. It takes a very long time to load a Word doc and sometimes doesn't even respond after the intial click. :( That makes me sad because I've got a lot of love for my lappy. I'm checking out those really nice and compact ones, you know the ones I mean? They're small and cute, and very light. We'll see what happens. It's back to revision now, though. I've reached page 155/280 already. Mostly, it's moving along nicely. Nothing huge needed to be changed, but I've moved plenty of sentences around, have added a few things I forgot to add during the first draft, keep deleting words that don't need to be there, and have often found myself replacing a four-word description with just one. Oh, and for some reason, my overuse of the word 'here' is driving me batty. Why, oh why, did I have to use it so much? *scratches head* Not to worry, I've been hacking them away. I was hoping to reach page 200 by the end of today, but I'm not sure that's going to happen. I'll probably try to squeeze in another chapter this arvo and hopefully one tonight. If I do, I may just get close to it. Maybe. Yesterday, I borrowed this book from the library. After reading this awesome list at The Book Smugglers website last week, this was one of the books that caught my eye. I checked my local library and reserved a copy. I think I might have to make my way through this whole list. I love futuristic/post-apocalyptic stories and have read some listed already, but others I will probably borrow or even buy. Anyway, I won't be reading this book until I've finished the revision of M-YA because it's in the same genre. Instead, UNWIND is going to be my reading reward. Can't wait. Orrin Blackheart couldn't be more different. With his black armour, a black name and a blacker reputation, he's been feared and hated in equal parts. So on his defeat and capture in battle, the Goddess' insistence that Evie saves him from a death sentence astonishes them both - as does the growing attraction between them. But in saving Orrin, Evie condemns herself to a prohibition on her magic and a penance posting on the edges of the land, while to retain his salvation Orrin must battle a spreading plague across the land. Fate clearly has plans for them both - but to fulfill them, both must survive the perils ahead. I started reading this book last weekend. It grabbed my interest right away but as I read on, for some reason, I had to put it down for a few days. To be honest, I have no idea what made me stop in the first place. I mean, I enjoyed the premise, liked the characters, and wanted to find out more about the Odium - an army of undead guardians - and who was really controlling them. When I picked it up again, I was glad that I did and continued to read on. Evelyn is a High Priestess. Orrin is a toughened warrior who happens to have her under guard. In a turn of events, the situation is reversed and he ends up being the prisoner. When Evie is convinced the Goddess asks her to save him, she asks the new Queen to spare his life. What follows is their separate adventures, which soon merge into one. There are also a few surprises along the way, as well as battles. And a few horrible characters that will make you cringe - the Baroness and the Archbishop certainly did that to me. 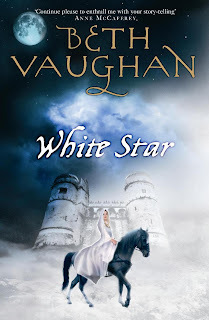 White Star is an interesting fantasy book with a new turn at every chapter, and action that doesn't stop until the very end. It's also the love story of two people who should be enemies, but become the opposite during a time of upheaval. 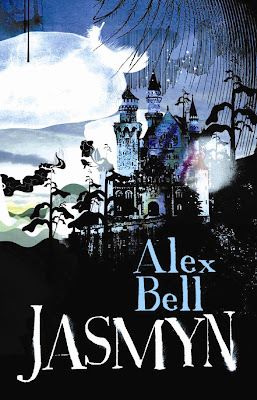 If you enjoy reading fantasy, there's certainly enough in this book to keep you interested. I've been so caught up in the revision of this story that I've hardly read the last few days. Every available moment I have, I spend revising a little more. One chapter at a time does get you far. I'm now up to page 120/278 pages. The word count's gone up by over 3k words, but I knew that it would. I did have a bit of a false start with this second draft on Monday. Got through the first 40 pages before I decided to go back and start all over again. :/ I just wasn't happy with the work I'd done. Now, it's moving along a lot better. I know I shouldn't worry too much about this, but the second draft is always so love-hate with me. It's a strange and very emotional thing that I'm totally over by the next draft, but it's a little draining when I'm going through it. Still, this particular story has a quality that is sorta keeping the negative thoughts at bay. Not the doubts, though. Those never fade. Anyway, if I could reach the halfway mark by the end of today, that would be super awesome! To Meridia, growing up with her father Gabriel, who vanishes daily in clouds of mist, and her bewitching mother Ravenna, the outside world is a refuge. So when as a young woman her true love Daniel offers her marriage, it seems an escape to a more straightforward existence. Yet behind the welcoming facade of her new home lies a life of drudgery and a story even stranger than that she left behind. Aged retainers lurk in the background; swarms of bees appear at will, and of course, there's her indomitable mother-in-law, Eva, hiding secrets that it will take Meridia years to unravel. Surrounded by seemingly unfathomable mysteries, can Meridia unlock the intrigues of the past, and thus protect her own family's future? This is Erick Setiawan's first novel. I was so impressed that I can't wait to see what else he's got to offer in the future. At the core of the story is the life of Meridia and the people who come in and out of her life as she grows from an insecure child, into a very clever and strong woman. 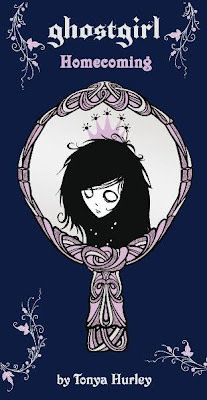 It all starts with her very strange parents and the cold house with ghosts in the mirrors and shadows on the walls. Then follows her life with the family she becomes a part of after she marries the love of her life, Daniel. Growing up in a home where her mother often forgot her, and her father disappeared in a cloud of mist every night, living with Daniel's family should be a change for the better, right? Unfortunately, with a mother-in-law that uses bees to enrage the members of her family - as well as plays them agaisnt one another - Meridia soon discovers that her new home is as full of secrets as the one she grew up in. I loved this book so much that I couldn't wait to get back to it every time I had to put it down, and had to read it in long stretches. I just couldn't put it down! It was well written, unique, lyrical, and so filled with emotion that I found some scenes overwhelming. The antagonist does such horrible things and puts her family through so much that I kept hoping she would fade away, like other characters did. 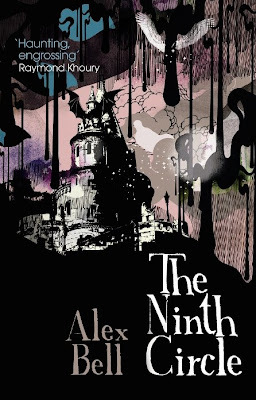 This is an outstanding book, a total keeper that is very hard to categorise because of it's unique, atmospheric, and very touching story about the trials of family, spun in a remarkable web of fantasy. 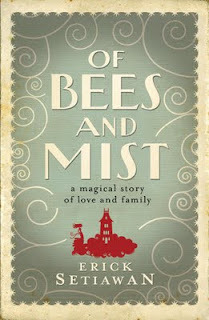 Of Bees and Mist is a captivating book that'll sweep you up into a cloud of mystical wonder and keep you glued from start to finish by the vivid imagery, interesting characters, the magic of every word, and the constant heartbreak of the central character. I seem to find myself at the beginning of the week a little too quickly. The weekend always moves faster than the rest of the week, doesn't it? We had a great one! I also spent a bit of time trying to figure out what I should work on this week. I have so many projects in different stages that I'm never short of work, but I do have to be in the right mood for the right project. And this week, I think I'm in a YA-kinda mood. I'll stay away from reading any, and instead work on the second draft for M-YA. That's my futuristic story, starring a sixteen-year-old girl with a strange name that's very fitting. :) But I can't share her name because it also happens to be the name of the story, and I'm very strange about sharing titles for stuff that isn't contracted, or not finished. Since this story fits into both categories... I'll just keep referring to it by it's codename. Lol. I'm actually quite excited about it. I've already got a list of things that need to be added or fixed. So, it should be fun. I'd like to have this draft done by the end of next week. I think 2 weeks is plenty of time to get it done, depending on how many changes I need to make and how clean the draft ends up being. They always seem to be so clean during the first draft, but when I get stuck into the revision, not so much. Well, that's it for today. Bye! After his wife's sudden death, Nicholas leaves the life he had in London and returns home to Australia. He knows something is very wrong and feels he is teetering on the brink of madness. But the truth is much, much more sinister and dates back to his childhood: when Nicholas was ten years old he found a strange talisman near the woods close to his home. He didn't touch it but felt its menacing power and ran. Later, he told his best friend, Tristram, about it. They returned to the woods together to seek it out and Tristram picked it up. That same day Tristram was murdered. There is something lurking in the woods that knows Nicholas is back...it has been waiting. Because the wrong boy died. On the night Nicholas returns home another boy goes missing and when his body is found it is clear that his murder is chillingly similar to Tristram's. Forced to uncover long-buried secrets Nicholas finds himself and those he loves in great danger. And he realises that he is linked to a hideous and enchanting nemesis who will stop at nothing to get what she needs. 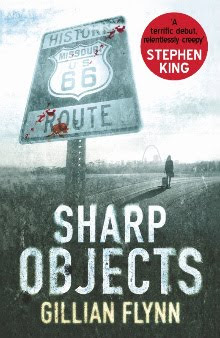 This is a brilliantly told thriller with characters and events so grounded in reality that it is horrifyingly believable. This is one spooky book by Aussie author, Stephen M. Irwin. A story that chilled me to the bone and made me squirm in my seat with its vivid imagery, and often disturbing scenes. I was hooked from the beginning. When Nicholas loses his wife after a freak accident, he blames himself and decides to leave London. He just can't handle seeing ghosts caught in their deathly cycles in London anymore. So, he returns to Australia, to the place where he grew up. The same place where a whole lot of horrible things happened, but his mother still lives there and he decides to stay with her for a little while. Not realising that his return has reawakened an old evil that haunted him as a kid. Not to mention that even here, he still sees ghosts. I love a book that firmly puts you in a real life world, with real life problems and then before you realise what's going on, has thrown you into the depths of a supernatural situation that is creepy, mysterious, and damn scary. Of course, by then, it's too late to surface from the depths you've willingly dived into. This is exactly what this book did to me. 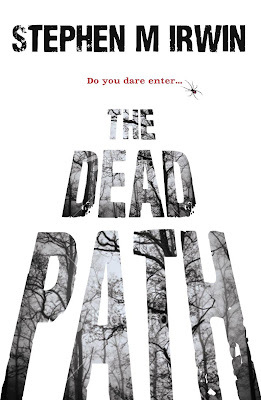 The Dead Path is a brilliant story about a man whose past catches up with him in the most freaky way possible. Of how ancient secrets never really die. Of a horrid mystery that lives inside The Woods of Tallong and wants to devour Nicholas. I enjoyed how downright scary this book got in some spots. Some scenes were very disturbing and made me uncomfortable, but you know, I loved every minute of it! This one's a book worth checking out. A great horror story with a cast of characters that will keep you interested until the last - very chilling - word. When two young girls are abducted and killed in Wind Gap, Missouri, Camille Preaker is sent back to her home town to investigate and report on the crimes. Long-haunted by a childhood tragedy and estranged from her mother for years, Camille suddenly finds herself installed once again in her family's Victorian mansion, reacquainting herself with her distant mother and the half-sister she barely knows, a precocious 13-year-old who holds a disquieting grip on the town and surrounds herself with a group of vampish teenage girls. As Camille struggles to remain detached from the evidence, her relationship with her neurotic, hypochondriac mother threatens to topple her hard-won mental stability. Working alongside the police chief and a special agent from out of town, Camille tries to uncover the mystery of who killed these little girls and why. But there are deeper psychological puzzles: Why does Camille identify so strongly with the dead girls? And how is this connected to the death of another sister years earlier? After reading DARK PLACES by Gillian Flynn, I was very interested in reading her first book. This one is a raw and strange book that takes the reader on a very bleak journey into the horrible mystery of trying to figure out who killed two little girls. Yet, for Camille Preaker, returning to her hometown becomes a slow descend into its clutches. It's often chilling to watch as Camille falls deeper into the horrid darkness of her teens. I couldn't help wondering if she'd eventually get lost in it. She's not exactly a sympathetic narrator - her life is plagued with emotional instability, she carries physical scars she can't escape, and doesn't exactly make the best decisions. But that didn't matter because I was completely drawn into her world, wanting to follow her as Wind Gap engulfs her. All the time, shuddering at the strange events that lead her closer to figuring out who killed the girls and why. So many times I wished she'd just jump into her car and leave that horrid small town and its many secrets behind. Camille's connection with most of the characters is shallow because she doesn't allow herself to open up to anyone. She feels she's not good enough for anyone's attention. Her mother is beyond creepy, her cruel words and even worse actions sickened me. But helped me understand why Camille was so damaged. And her half-sister, Amma, is spooky. Sharp Objects is a very creepy, haunting story about a woman with many personal problems - most of them stemming from her bizarre and loveless past. A childhood that still haunts her and sends her spiralling back into all of the painful memories of losing her younger sister. And just when you think the mystery has been solved, but realise it hasn't, the truth will shock you. I enjoyed this book very much, no matter how uncomfortable it made me. Have you ever had an appliance malfunction on you and then when someone pops in to take a look at it, it works just fine? Anyway. Now I have to keep an eye on it and write down what flashes when it decides to cut out five minutes after the washing cycle has begun. I'm determined to get to the bottom of this because that just doesn't sound normal to me. There's gotta be something wrong with it, I just have no idea what. It's still under warranty, so I'm hoping the mystery will be solved soon. Hopefully, the rest of the week will settle down and be a lot quieter. It seems to get chaotic when there are a lot of real life-type stuff to get out of the way, doesn't it? I haven't been able to spend as much time with the book I'm currently reading as I would like to. Maybe this afternoon. Well, the revision is still moving along nicely. I'm now up to page 132 and would love to reach page 155 by the end of today's session. That'll leave me in a great spot to finish up the rest of the story by the end of tomorrow. I'm really excited by the small changes I'm making, but already know that it'll need one final read-through before I'm happy to call it done. Which is fine with me. I'm the type of person that could revise a story a thousand times if I let myself. So, I make sure that I stop myself after three drafts. One to write it, one to fix it, one to finalise it. No point in putting it off any longer. It's time to get back to it. Oh, you know what I realised today that made me smile? This is the last month of winter. Awesome! I found this book intoxicating. A story that intrigued me with the concept and then compelled me with every new turn of the page. I loved that this book was drenched in a layer of bizarre strangeness, and an air of darkness that surrounds Gabriel's story from the very beginning. So many times I found myself wondering if what was happening to him was a dream, a nightmare, or some sort of delusional episode brought on by the confusion he faces every single day. As hard as I tried to solve the mystery of who Gabriel really was, I never came close to the truth. The reality of who he really is and how he got to be in Budapest blew me away. It was sheer, unexpected genius. The final confrontation scene will have you guessing and second guessing yourself over and over. I swayed from one side to the other continually, but was more than satisfied with the path Gabriel took. It's always amazing when you have to ask yourself who the good guy really is -- is it the one that's on the supposed good side, or the supposed bad guy willing to help and answer your questions? First off, I need to say that I love the cover for this book as much as I love the main character's name, Ever. :) And in the case of this story, it suits her perfectly. Very clever! I really enjoyed this well-constructed story about a teenager who loses her family in a car accident and feels so responsible that she pretty much decides to withdraw from life. She's pretty and has lovely long, blonde hair that she hides beneath hooded sweaters. And she's constantly listening to music so that she doesn't have to hear the thoughts of others. Oh, did I mention that after the accident she can see people's auras and read their thoughts? Well, she can. Ever's living a quiet life with her aunt, staying in the shadows and enjoying the company of her two best friends, Haven and Miles. However, when she meets Damen, everything changes. As much as she tries to keep her distance, she just can't ignore how he makes her feel and gets caught up in a whirlwind of emotion and revelation. This is a lovely story about a very emotional young girl who is forced to come to terms with life after she feels she doesn't deserve it. It's packed with interesting characters, amazing explanations, and a great conclusion. I liked Ever's voice because it was honest and often moody, matching her reactions. Charlotte may have graduated Dead Ed but that's not the end of her story. Life, for Charlotte, was one bitter disappointment after another. And it seems death isn't going to be much different. Convinced that graduating Dead Ed was her route to the afterlife Charlotte is a little surprised to find she has to complete an internship! This is the second book in the Ghostgirl series. And just like the first one, it's absolutely beautiful. The slim line hardcover is dark blue this time, but just as gorgeous inside and out. These books are lovely to look at, that's for sure. They look awesome on my bookshelf! 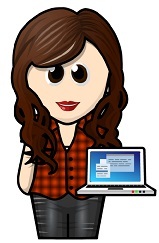 Charlotte might have moved on after graduating from Dead Ed, but now she's stuck working in a call centre for teens. Which happens to come in handy when Scarlet needs her help to save the arrogant Petula, whose slipped into a coma after a killer pedicure. Ghostgirl: Homecoming is another quirky, entertaining, fun book with the perfect dash of dark humour, and an incredible supernatural adventure. The mix of character POVs was interesting, too and kept me reading at a fast pace. Even though I really like Charlotte and enjoyed her story - especially the end - I once again found myself much more connected to Scarlet. She's a very cool character with a lot of potential. If you like reading YA novels that are a little bit different, but are very clever, then you'll probably really enjoy this one. I know I did!